Fernando killed when his patrol came under attack by enemy forces using small-arms fire and rocket-propelled grenades. Only 21, Fernando Robinson thought he already had experienced the best and worst that life had to offer. "I have seen the face of terror. felt the stinging cold of fear, and enjoyed the sweet [taste] of a [moment's] love, i have cried, pained, and hoped ... but most of all, i have lived times others would say were best forgotten, at least someday i will be able to say that I am proud of what I was ... a SOLDIER." By all accounts, Robinson's life as a soldier were good times. But they were not to last. He was killed Oct. 2 in Afghanistan's Korengal Valley when his unit was attacked with small-arms fire and rocket-propelled grenades, according to the Department of Defense. He was assigned to the 1st Battalion, 32nd Infantry Regiment, 3rd Brigade Combat Team, 10th Mountain Division (Light Infantry) at Ft. Drum, N.Y., and deployed to Afghanistan in March. "He always had been proud of what he was doing," said his brother Francisco Robinson, 24, of Inglewood. "He liked to think he was fighting for a cause." 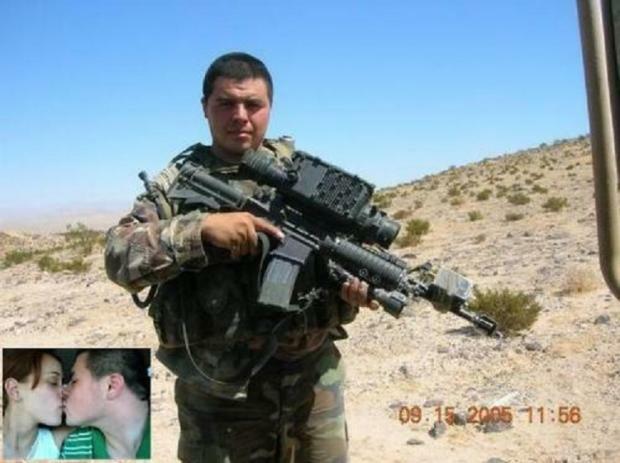 Fernando Robinson was trained as an infantryman, and his Web page includes pictures of him proudly cradling his rifle. On the same site, there is a short video of his unit operating in the stark, remote Afghan mountains, with Robinson posing beside a tank; he and others sleeping on the ground using their backpacks as pillows; jeeps and Humvees rolling across sweeping plains; men taking cover from an exploding bomb; and helicopter gunships patrolling white-roofed villages. It is set to a song, "Send the Pain Below," by the hard rock band Chevelle, one of his favorite groups. The Korengal Valley is in mountainous eastern Afghanistan, along the 1,500-mile-long Pakistani border, a volatile area where Islamic militants move back and forth across the porous divide. The 3rd Brigade's mission is to engage those insurgents and to provide stability in the region, so Robinson's company would have seen a lot of action, a Ft. Drum spokesman said. But Robinson told his family and friends in conversations and e-mails that he loved the Army despite the terror, loneliness and boredom that is the soldier's lot. There also was exhilaration, the sheer rush of adrenaline that he thrived on. It was pronounced in his love of fast cars. "He liked to live days one at a time," his brother said. Fernando Robinson wasn't sure that he would experience any of that rush when, in 2004, he was assigned to Ft. Drum fresh out of boot camp. "They had told him his first year in training [that] there was a chance he was going to get shipped out to Afghanistan, but he wasn't too worried," said his mother, Elizabeth Estrada of Lubbock, Texas. "He said Iraq was more intense and that he'd be going to Afghanistan and be doing the last part, the cleanup part where it was safer." Fernando Daniel Robinson was the first in his family to join the military. He joined the Army Reserve Officer Training Corps at Lawndale's Leuzinger High School, where he took pride in wearing the uniform. He graduated in 2003. Estrada remembers her son as sensitive, kind and giving. Whenever family or friends needed anything, he was always there, she said, adding, "He was a good friend and great son. He was never in gangs, never into drugs or in any kind of trouble. He was a good boy and turned out to be a very good man."